The PlayStation 2 Classics line-up will be getting a serious dose of Rockstar this week, but not of the Grand Theft Auto brand. The entire trilogy is already available on PlayStation 3, so Rockstar only has a few smaller titles left to finish out its library. First up is an obvious choice to make a few dollars. 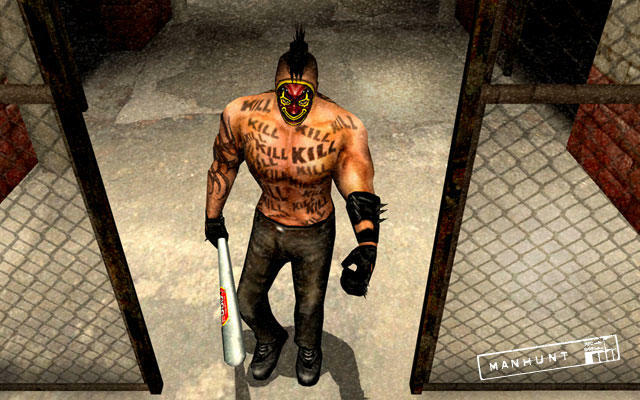 Rockstar's selection of games on the PlayStation 2 was never shy of controversy, pushing the boundaries of what kind of violence was acceptable. If Grand Theft Auto was already not enough, then the Manhunt series is the next obvious one to point the finger at. On release, Manhunt was essentially just unbridled violence on a DVD. Rockstar was obviously in the mood to just troll the politicians at a time when the topic of game violence seemed to hit a peak. Essentially a bare-bones stealth game at its core, Manhunt's best rewards for pulling off a silent kill is a violent animation. The better rated the kill, the more graphic the murder. Any discarded item can be used as a weapon, meaning there are hundreds of ways to witness human killing. Most memorable about the game was its narrator. "The Director," voiced by actor Brian Cox, loomed in gamer's minds throughout the entire experience, whispering through the newly released USB headset which came packed with SOCOM. Manhunt definitely deserves another look, stripped of all its controversy. I always thought the game was a better talking point than a "game" itself when it was released in 2003, but hindsight wants me to believe a different image. Beyond solid stealth mechanics is a genuinely creepy atmosphere which speaks volumes about how far Rockstar was willing to take games. Rockstar also teased an upcoming release of their game The Warriors, so stay tuned for more.